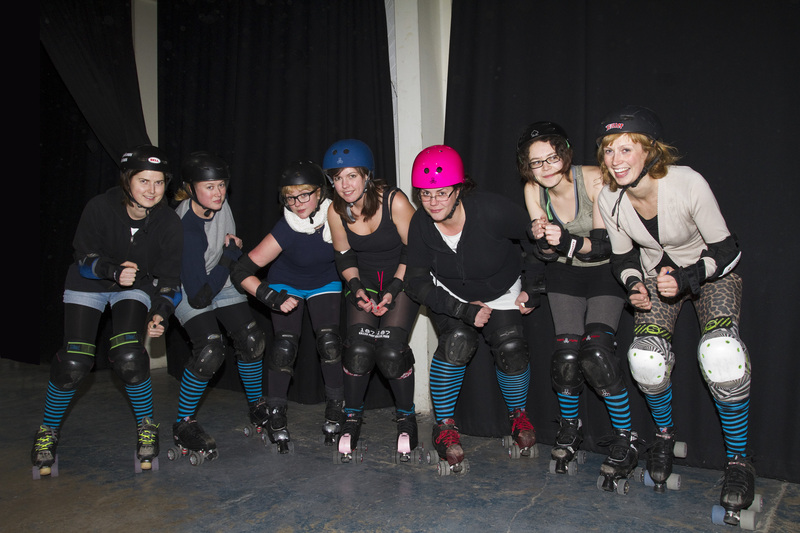 Get an adrenaline kick from new roller derby sessions! THE BATH Roller Derby Girls are inviting you to get your skates on and join in their new training sessions in Frome. Roller derby, which originates from the USA, is a full-contact sport played on roller skates, where two teams of players skate around an elliptical track. The aim is to score points by lapping their pack – but with the opposition aiming to prevent skaters from doing so. The game is fast and furious and full of adrenaline! The Bath Roller Derby Girls have started training sessions in Frome at the Cheese and Grain, one of the few venues in the area which can accommodate the sport. Players will find they need plenty of energy to play but there are no pre-requisites – you can join even if you don’t know how to skate. Although it is a full-contact sport, Bath Roller Derby Girl Nikki Henderson says people should not be put off by this. She said, “One of the first things you’re taught is how to fall. When you’re skating in a pack, you need to be able to skate next to other people and you need to be able to fall without being injured. We wear helmets, mouth guards, elbow pads, wrist pads, and knee pads. The training sessions are open to women who want to join the team, and to men who want to learn how to play in anticipation of joining the Bristol team. Men are also welcome to act as referees and officials. The next training session will be held from 7.30pm-9.30pm on Tuesday 18th December. An open day will also be held in January.